What are the main books and histories about the Boer War? The Boer War was the leading news story at the time. 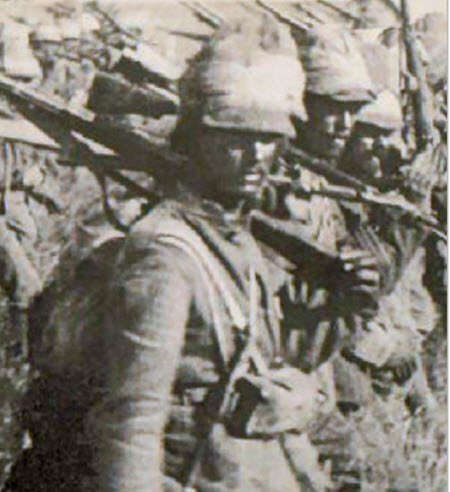 War correspondents embedded with the British army, and occasionally with the Boer forces, reported details of the battles and conditions at the front. And many of the men and women who served in the war wrote memoirs and personal first hand accounts of the conflict. Here we have collected a number of histories and autobiographical accounts about the Boer War, which can be read online. These accounts of the Boer war cover the gamut of experiences, from that of nurses and doctors at the front, to civilians caught in the fighting, to soldiers involved in the fighting. Some of the accounts are very personal and depict the war solely from the perspective of the writer, while others aim to give an overview of the entire war. In many cases, the accounts of the battles such as Mafeking and Sion Kop are from first hand accounts by soldiers who fought in them, giving an excellent perspective on what the war was really like. Sir Arthur Conan Doyle is best known for his Sherlock Holmes mysteries, but he also wrote a number of nonfiction books, among them several on the Boer War. In this book Doyle speaks with pride about the humanitarian concerns which led the British to put Boer women and children into concentration camps and care for them as best they could, rather than leaving them to starve after destroying the Boer farms in an effort to stamp out the Boer guerillas and prevent them from living off of the land. Today, less ardent imperialists would consider the British tactics a war crime. Even if putting the civilians in concentration camps was the lesser evil after destroying their livelihood, the scorched earth policy was in itself collective punishment and therefore a war crime. This war crime was compounded due to the deaths of thousands of Boer civilians from malnutrition and disease while in British custody. It is a mark of shame for the British Empire, that it invented the concept of concentration camps for civilians, which of course were later adopted with even greater efficiency and zeal by the Nazis. According to Doyle, the British were just not very good at explaining the moral justness of their cause and any condemnation of their actions was due to public ignorance of their benevolent farm burning and displacement of Boer civilians. Although written by an Imperial apologist, the book is interesting for its explanation of the imperial mind set and justification for the war. A fairly sympathetic and objective assessment of the Boer forces, their leadership and conduct of the war, written by what today we would call an embedded reporter. The author talks about the bravery of the Boers as well as their shortcomings. There are interesting chapters about the Boer generals and Boer women who fought on the front lines. The book suffers from the fact that it was written while the war was still going on and therefore lacks the perspective of history. Still a very interesting read. A regimental history of the 1st Battalion of the Devonshire Regiment during the Boer War. It was written by one of the commanding officers and offers a first hand account, from the British perspective, of several key battles including the Battle of Ladysmith. 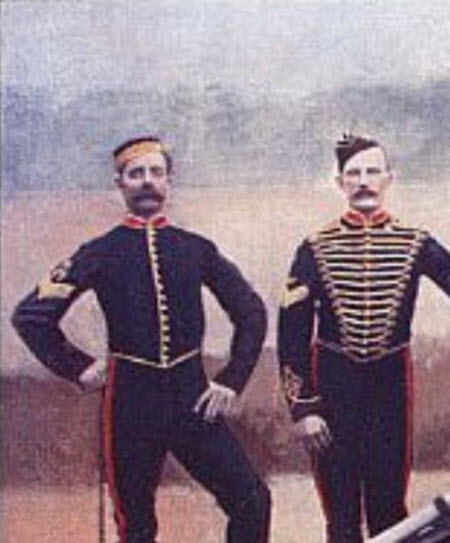 There is a forward written by Kitchener, one of the chief British military commanders in the war and the architect of the genocidal policy of concentration camps and take no prisoners towards the Boers. A very in depth two volume history filled with many illustrations and photographs of the Boer war. Unfortunately it is biased in favour of the British and therefore cannot be relied upon to be objective; also, only the first volume has been posted online so far. The book also covers some of the history of the area and the British Empire leading up to the Boer War, including the British intervention in the Sudan. The Last Boer War was written in 1899, just at the beginning of the war, by H. Rider Haggard, author of books such King Solomon's Mines. As a scholarly source the book is of little value, having been written mainly for commercial reasons to satisfy the public's thirst for news about the war, but without an objective perspective or a full knowledge of the facts since the war events were still developing. But as a testament to jingoist British imperial policies and attitudes the book is quite interesting.